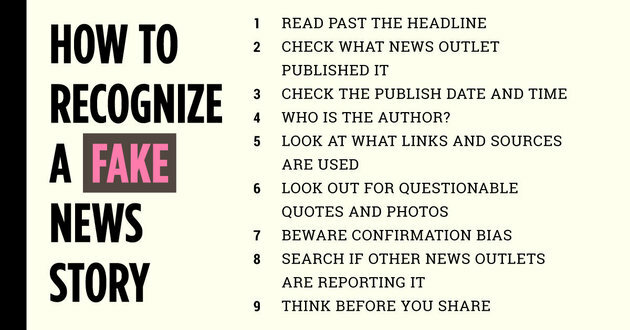 This guide links to helpful articles, videos, case studies, fact checking sites, and suggests tips for evaluating news stories. If you have questions or need help determining whether a source is reliable, feel free to ask your friendly librarians. We’re always glad to help you find accurate information. It’s time for the next Durham Tech Library Book Club pick! Make sure to stop by our libguide for information and a book club interest form! The Library Book Club will be meeting on Thursday, December 1st, at 1 PM. The meeting will be held in the Schwartz room in the Educational Resources Center (Building 5). 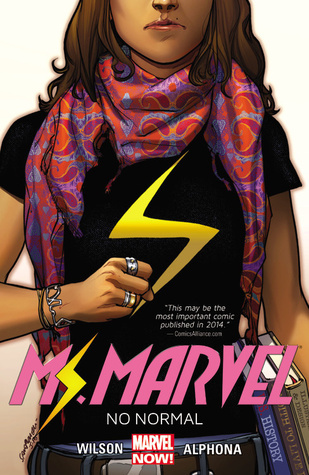 This time we will be discussing Ms. Marvel, Volume One: No Normal by G. Willow Wilson and Adrian Alphona. The first volume in a ground-breaking series that won the Dwayne McDuffie Award for Diversity in Comics. We have extra copies at the library circulation desk so come check it out! Popular Author to Speak at Durham Tech! The Durham Tech Library is thrilled to announce that Jason Porath, author of the newly published Rejected Princesses book (which is based on his incredibly popular blog), will be speaking at our campus. He will talk about his blog, his book, and be answering questions from the audience. The event will be in the TLC room, building 3, at 9:30 AM on Tuesday, November 15th. Click the book cover above to visit his website, and then get excited. Really excited. Jason Porath will be there. Cool librarians will be there. You will learn about awesome women through history. You’ll have something to talk about at your next dinner party. The book cover is a really nice shade of purple which bodes well. 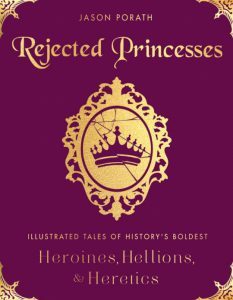 You can buy copy of Rejected Princesses and get it signed. That’s enough reasons, I think you should be convinced. The premise of this book was intriguing to me. 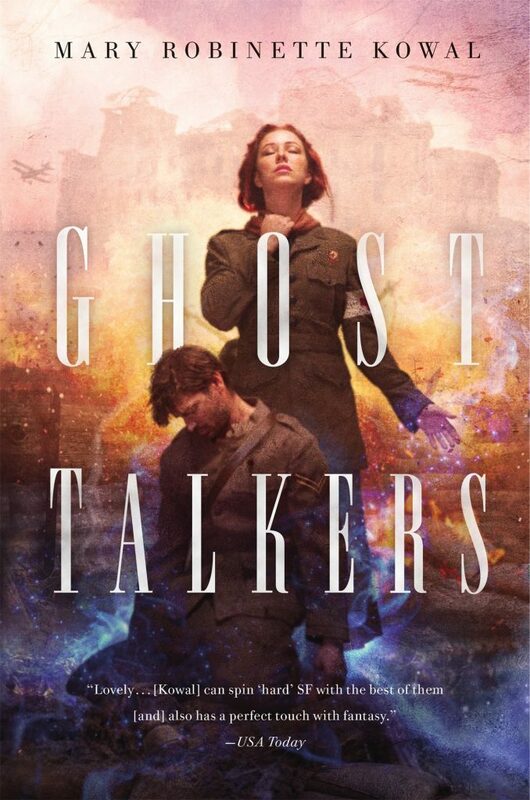 Using mediums to get intelligence from ghosts of soldiers seems like a logical tactic if ghosts were a real and reliable phenomenon. I like that the book didn’t shy away from the culture of the time in regard to racism and sexism. The author worked these issues into the plot, characters, and setting in a way that felt real without overdoing it. I also liked that despite the WWI setting the book read more like a mystery than a war book. I wasn’t inundated with page after page of descriptions of soldiers dying in the trenches and other horrors of war. Instead, the author gives glimpses of this reality but stays true to the main plot. The ending of this book felt bittersweet to me, which is perhaps the best you can hope for from a book set in one of the world wars. Anyone who likes alternate histories or fantasy books. I would pair this book with a documentary on WWI spy tactics and a ring of salt around the house to keep ghosts away. We have a great crop of new books this month with something sure to please everyone. From the hipster cook to the DIY mechanic to the fiction fan there will be a book to catch your eye. Come check out our New Books shelf at the library where these books and more are waiting for you!